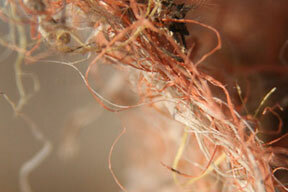 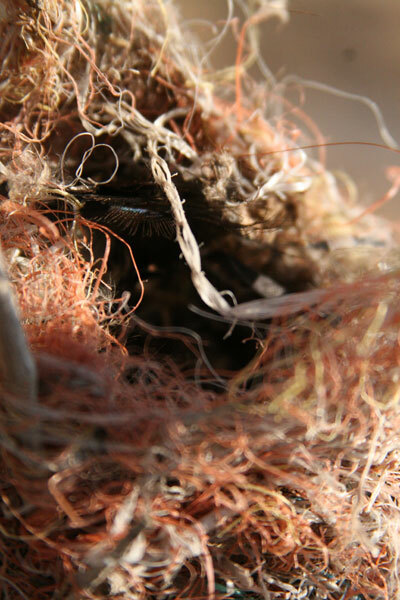 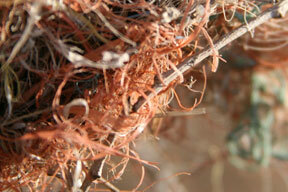 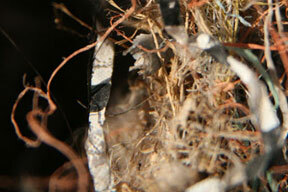 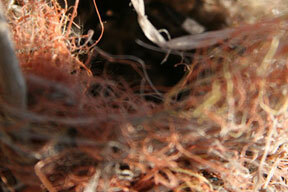 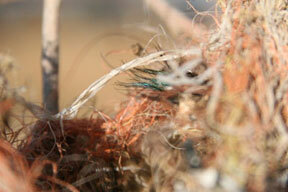 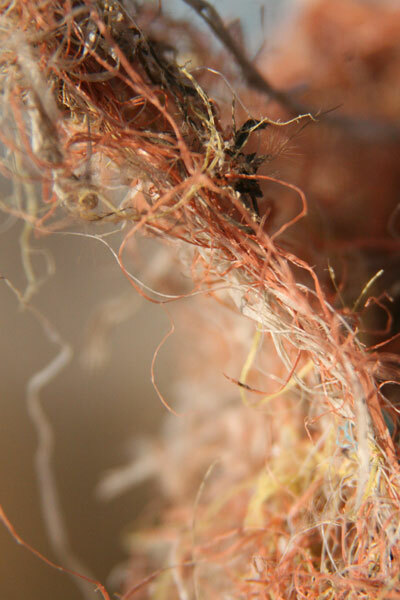 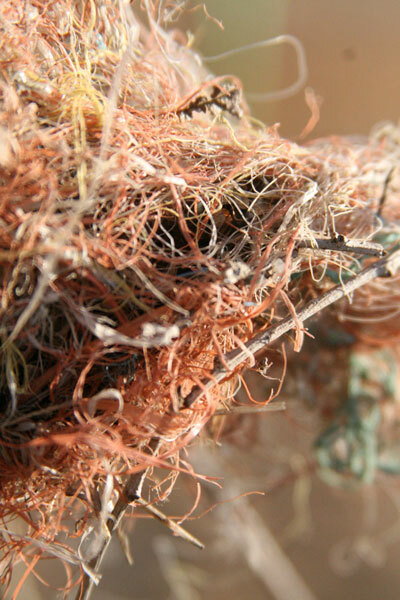 The second study in my Case Study Nest series; which takes an intimate look at the materials and textures of bird nests. 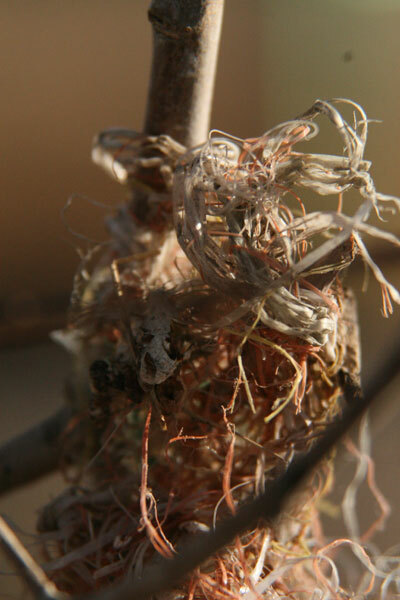 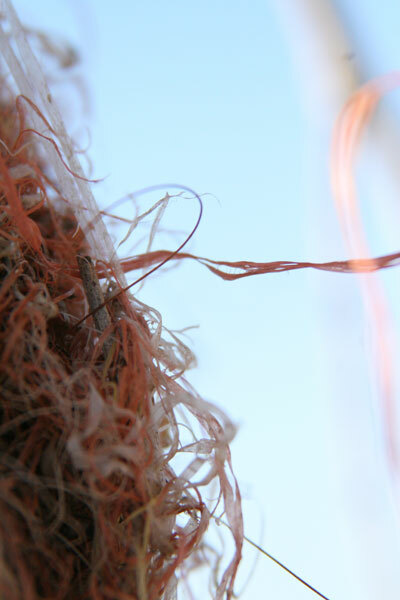 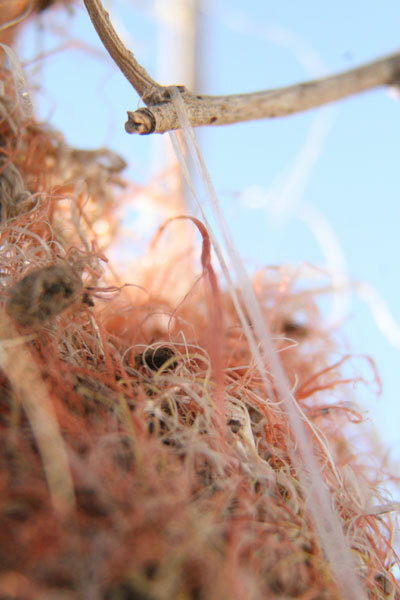 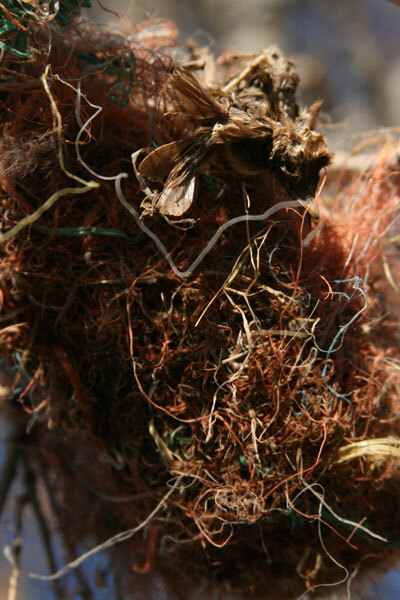 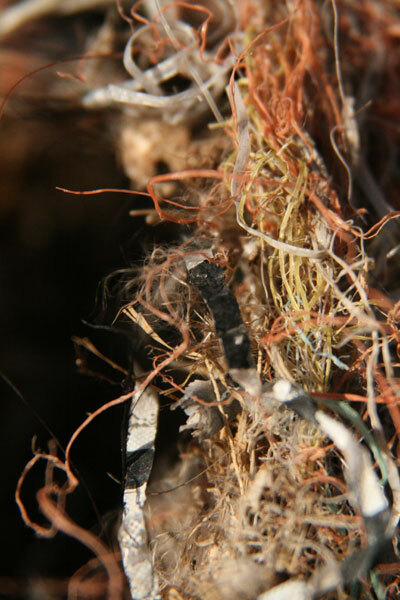 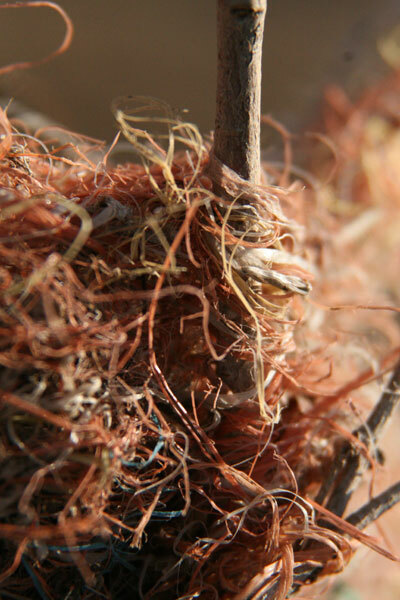 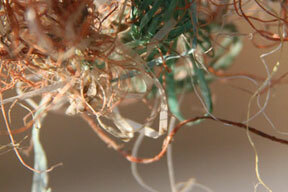 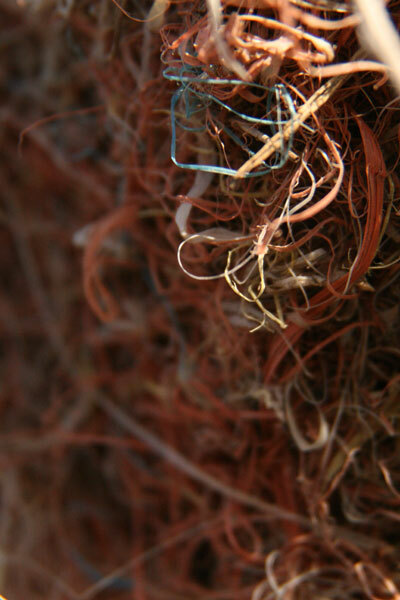 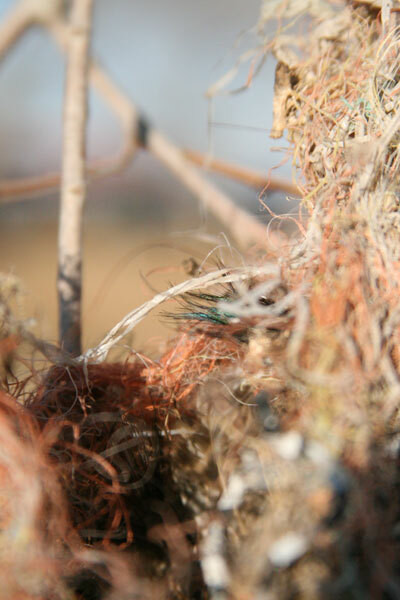 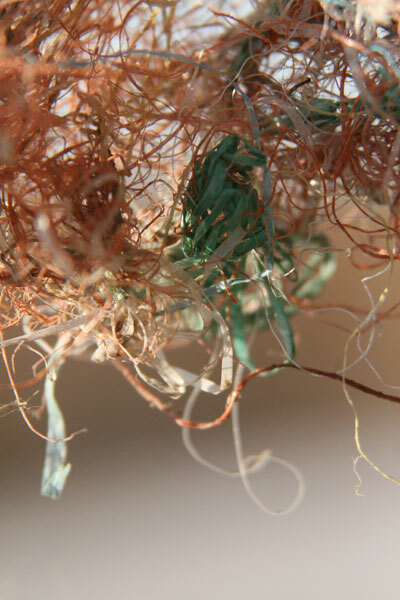 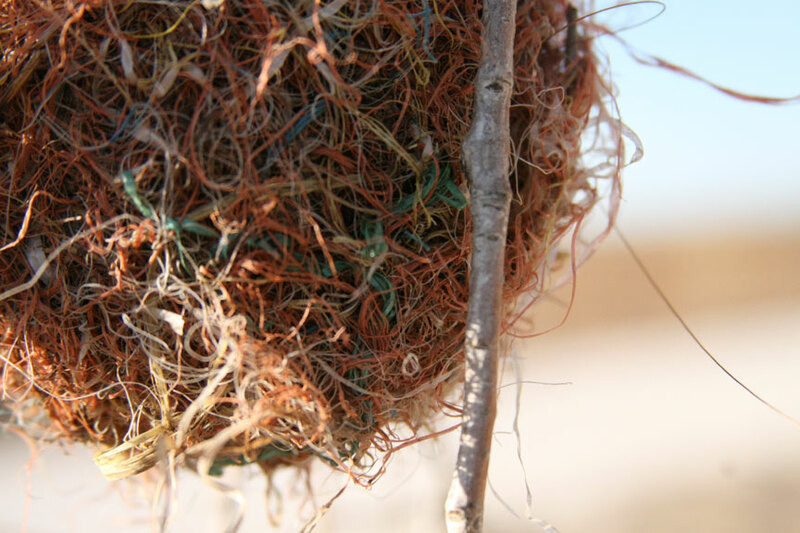 Approaching the idea that a nest is architecture but visually focusing on the complexity and seemingly chaotic construction of found materials. 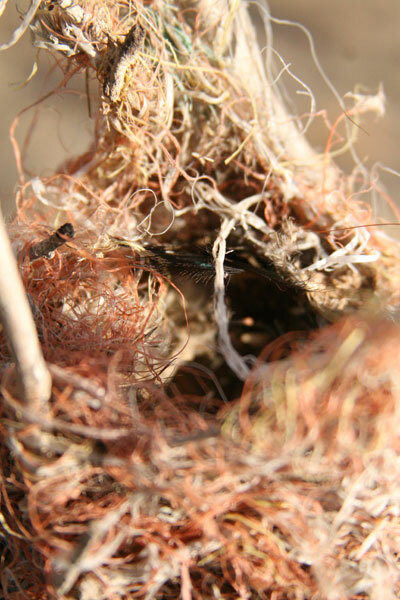 Every nest ever made is uniquely different depending on the accessible materials. 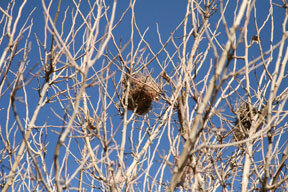 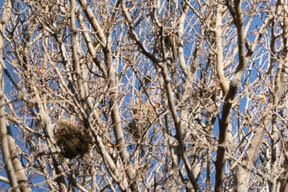 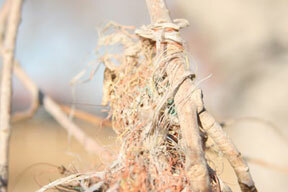 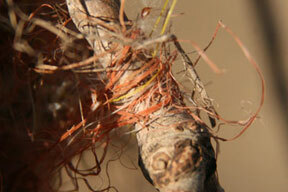 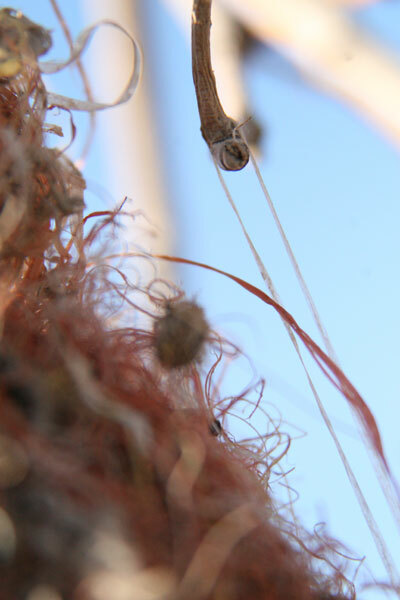 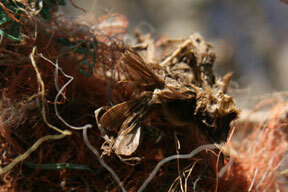 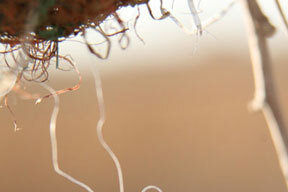 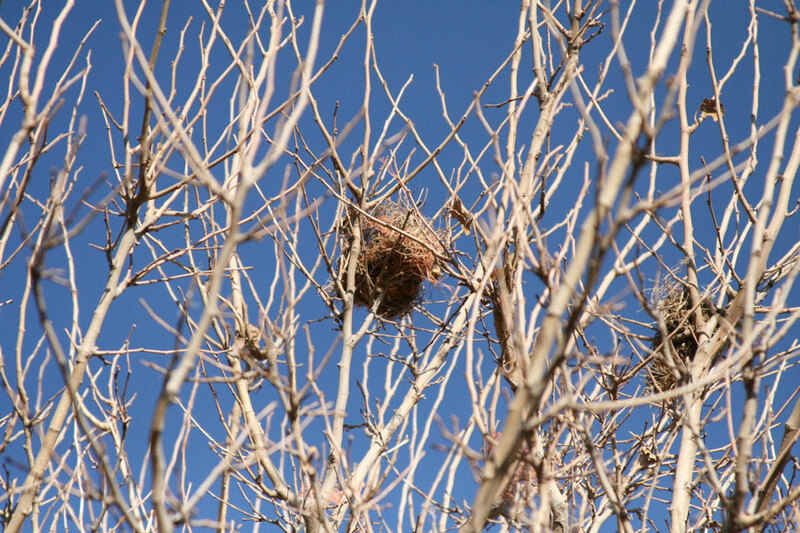 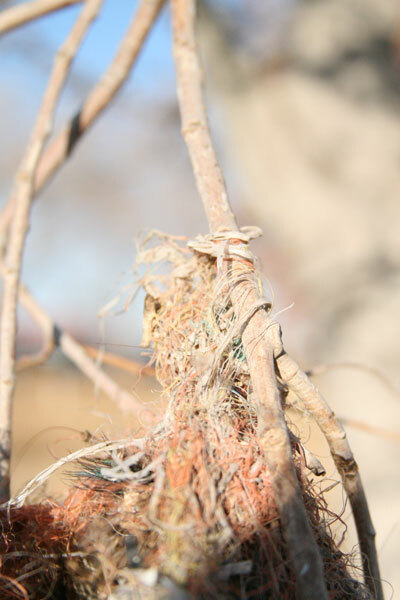 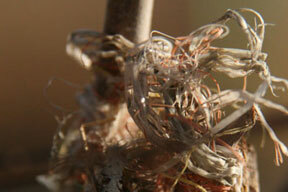 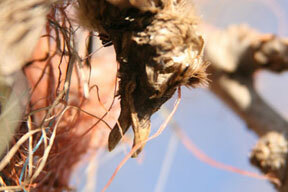 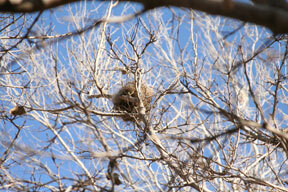 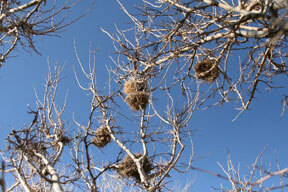 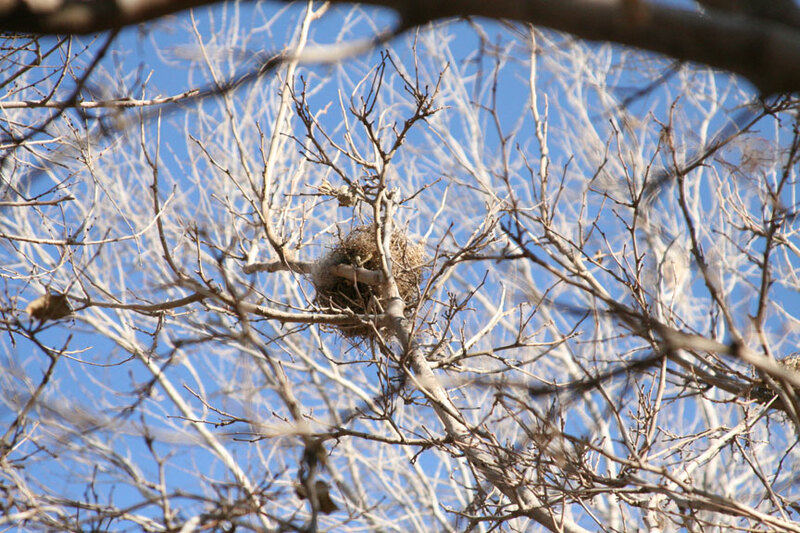 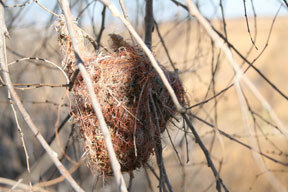 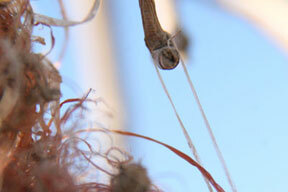 For this set I photographed a nest I found on my mothers ranch in Hobbs, New Mexico. 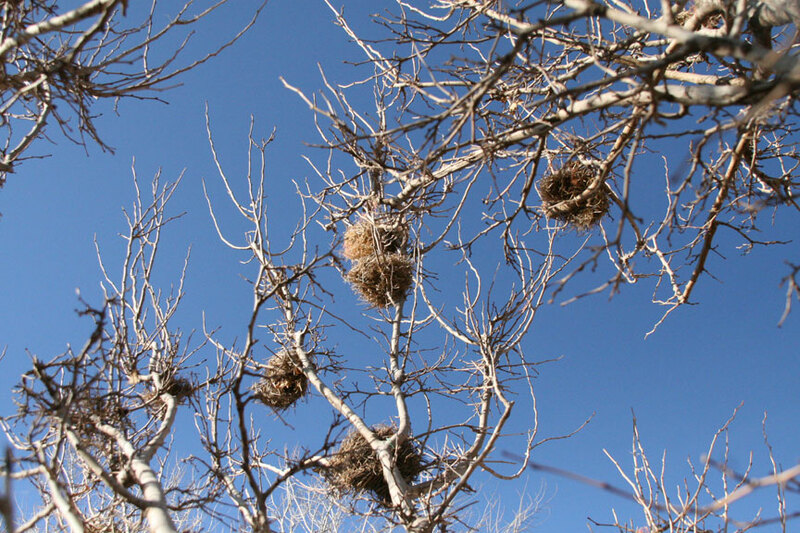 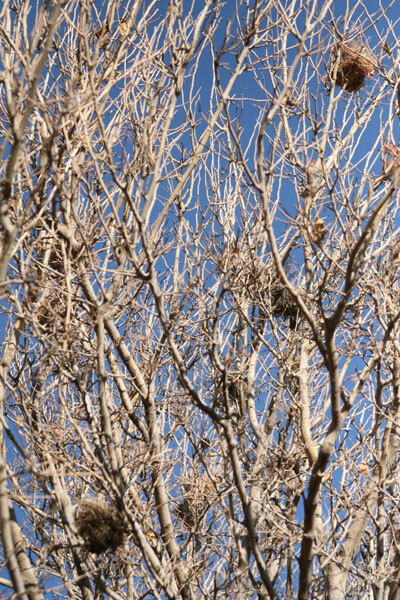 The treetops were full of nests that were easily seen due to the absence of leaves; their occupants long since gone for the winter leaving behind countless empty nests. 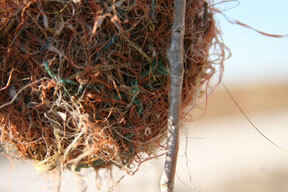 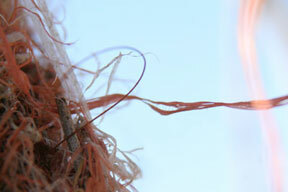 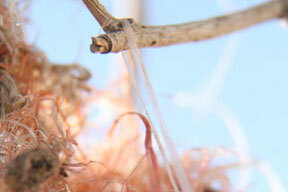 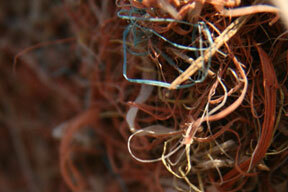 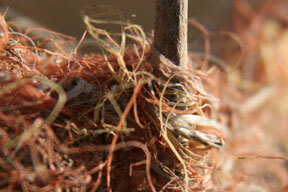 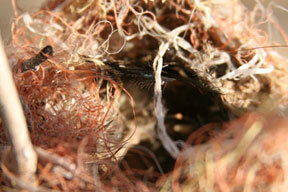 The nest I chose for this study had an excessive amount of orange twine that is used on hay bales. 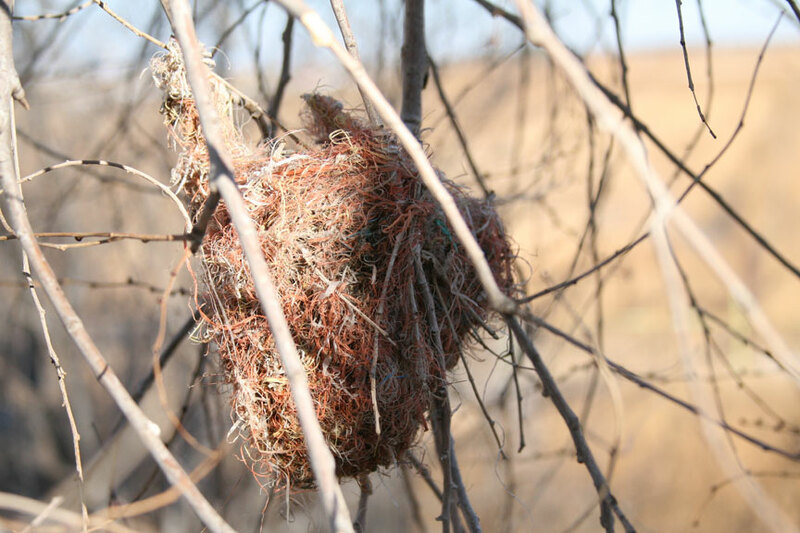 I was drawn to this nest due to its unusual material and the balance it displays between humans and nature and the repurposing of manmade waste. 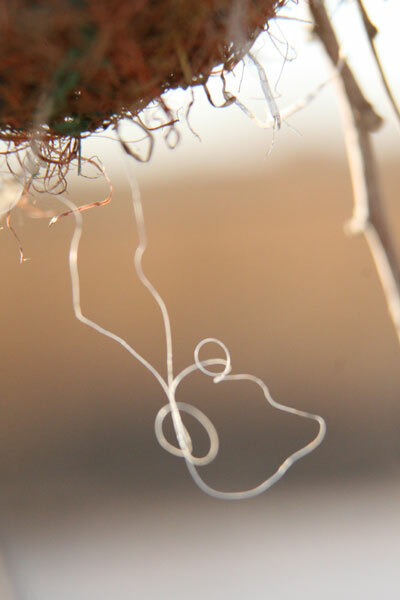 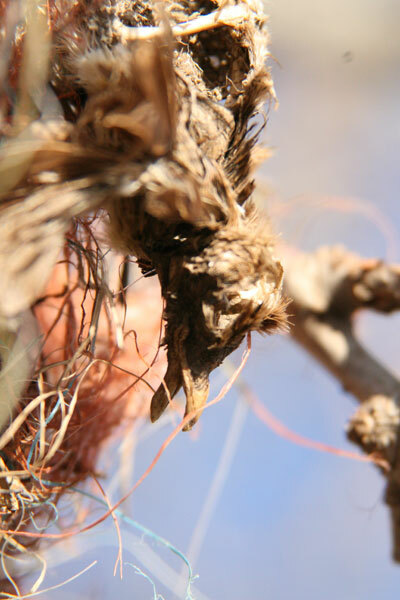 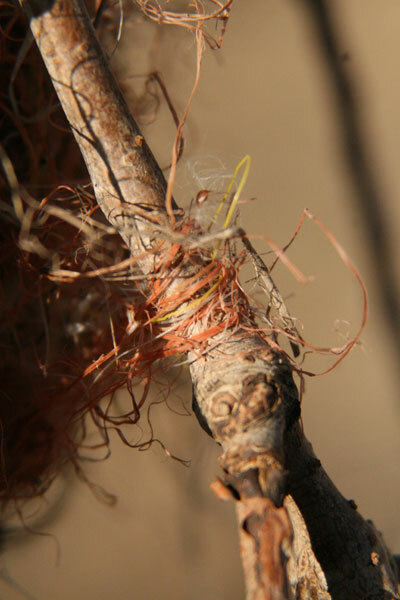 From the orange twine to a single peacock feather to the hatchling that did not make it and was tangled in the outside of the nest; this second study is as visually different from the previous as the two cities in which they were photographed, however a constant can be found in the basic structure of the nests.